As I was looking in my iPool account I noticed the band Devilment sitting in there with its Victorian Gothic Horror artwork and it being described as just heavy metal. No weird sub-genres, just straight up heavy metal. So I was intrigued and decided to give the album a cold listen with no idea at all what it was about really. On one hand, I am glad I did as ‘The Great and Secret Show’ has some pretty cool songs on it that offer some pretty interesting ideas on what a metal song should be and it has a cool atmosphere to its music. In fact as I listened to ‘The Great and Secret Show’ I felt the band would be the kind of band that Anne Rice envisioned in her Vampire Lestat novel. That is how much I really got into the album at first. On the other hand I was a little let down as the album played on as it gets a little samey. 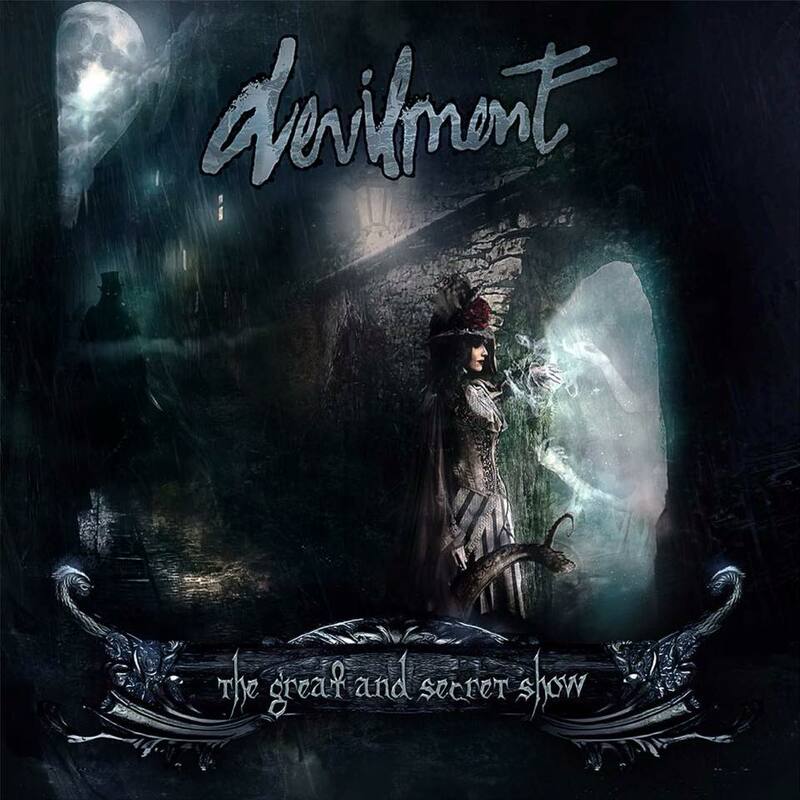 I guess this is where I should point out that Devilment isn’t exactly Heavy Metal in the traditional sense as the music has some industrial inspired guitar sounds, which actually I found was one of the cooler parts of the album. It is just that after a few songs there isn’t much variation in how that industrial sound plays out. I also found out this is a side project for Dani Filth of Cradle of Filth fame and I guess that is where Devilment derives some of their sound. I was never a big Cradle of Filth fan as I never liked their sound much but where as I was not a Filth fan I found myself enjoying parts of ‘The Great and Secret Show’ despite its repetition. I hope for any other future work that Devilment puts out is a little more diverse because I feel the band could really be something.